Love birds? So do we. Jamie Johannsen leas us on an insider’s tour of the best birding hot spots in our region. Get tips from local amateur birders about the species you can expect to find in these wild, beautiful places. Birding is one of the fastest-growing hobbies in the United States, a fact underscored last fall by the release of The Big Year, a Hollywood movie centered around the activity of sighting wild birds. The Old Northwest Territory is especially well-positioned to support this hobby, because of its premier inland birding habitats on both public and private land. Our region’s rivers, prairies, wetlands and woodlands are magnets for migrating and nesting birds. In public ownership alone, more than 17,000 acres of protected land allow easy access for birders; more than 325 species of birds have been documented here. People are drawn to birding for many reasons. Many naturalist types, like Rockford resident Jeff Donaldson, are introduced to it by other bird buffs. Donaldson first learned bird identification as a young child watching his father sketch birds. That childhood curiosity evolved into a lifelong hobby, and he’s now a first-rate field guide. Birding is easy and enjoyable for all ages and doesn’t require expensive equipment. The most important and useful tools are your eyes and ears. Spring and fall migrations are the best times to see the widest variety of birds, but any time of year can be rewarding. Some of the most spectacular sightings occur in winter, when the trees are bare. With millions of wild birds flying through in spring and fall, our region becomes a feast of color, sound, beauty and fun. But how does one get started? Arriving at a correct identification is largely a process of elimination as you narrow the possibilities to solve the mystery. For example, it’s pretty easy to tell that a red-tailed hawk is not a songbird, and that eliminates nearly half of all possible species. The growing popularity of birding has resulted in a proliferation of wonderful resources, in print and online. Birding reference books range from very simple pocket field guides with basic tips on common species for a particular region, to comprehensive tomes featuring gorgeous illustrations and in-depth scientific descriptions, classifications, geographic ranges and population statistics. Birding by ear is a valuable and widely used technique. With experience, birders learn to identify each species’ unique call or song. While visual identification requires a clear line of sight, hearing provides a 360-degree field of opportunity. Most bird identification websites include bird call recordings, and many birding CDs and downloads are available for purchase. Beyond a field guide, the most necessary piece of equipment is a pair of binoculars. While not essential, it’s really fun to get a close-up look at an elusive bird. Detailed views allow people to note subtle features that help with identifying the birds. Knowing the best birding locations, and what birds appear during various times of the year, help to ensure a successful and enjoyable outing. The following are among the many excellent birding locations within the Northwest Quarterly Magazine coverage area. Please note that the terms “common” and “uncommon” are general categories intended to indicate the relative abundance and frequency of the species in the locale. Avon Bottoms, Rock County, Wis.
Description/Habitat: The Sugar River transects the 1,500-acre Avon Wildlife Area in the southwest corner of Rock County. The river travels through several thousand acres of bottomland forest. The property is owned primarily by the WDNR. Within the wildlife area are two State Natural Areas: the Swenson Wet Prairie and Avon Bottoms. In recent years, the WDNR has purchased additional farmland and added it to the wildlife area. The U.S. Fish & Wildlife Service has enrolled 1,900 acres of land into the Wetland Reserve Program; they’re being restored to prairie wetlands. Don’t Miss: Birding this area by canoe or kayak on the serene, unspoiled Sugar River. Castle Rock State Park, near Oregon, Ill.
Description/Habitat: This park is located high on a bluff overlooking the Rock River. With more than 2,000 acres, 710 dedicated as the George B. Fell Nature Preserve, this is one of the largest significant natural areas in northern Illinois. It features spectacular rock formations, deep ravines and several unique plant communities, including 27 different ferns. Don’t Miss: In a rare occurrence, St. Peter Sandstone comes to the earth’s surface here, and this weather-sculpted outcropping is the source of the park’s name. A wooden walkway allows safe access up and across the formation. It’s a magnificent view when you get to the top and look at the river far below. Colored Sands Forest Preserve, Shirland, Ill.
Description/Habitat: The 303-acre Colored Sands Forest Preserve is tucked away on the Sugar River in the northwest corner of Winnebago County. Known for its many birds and bird banding station at Sand Bluff Bird Observatory (SBBO), it also has unique geology and wonderful wildflowers. A dedicated Illinois Nature Preserve, it contains unique river, wetland and sand prairie habitats that harbor Illinois endangered and threatened plant and animal species. Don’t Miss: SBBO has banded more than 265,000 birds within more than 175 species. Banding takes place on weekends in spring and fall; visitors and groups are welcome to observe. The annual Bird Fest celebration is held during the second weekend of May, and features bird banding, crafts, guided hikes to the capture nets and live bird demonstrations. Elkhorn Creek Biodiversity Preserve, Forreston, Ill.
DESCRIPTION/HABITAT: 130 bird species have been recorded at this 43-acre mix of oak savanna, stream, seep and sedge meadow that’s perched over a small series of geological faults. The preserve features outcroppings of both St. Peter Sandstone and Ordovician-age dolomite. Several small springs feed into sedge meadows, then slowly drain into a small brook, which empties into Elkhorn Creek. More than 235 species of plants and animals have been catalogued at the preserve so far. Don’t Miss: The annual Elkhorn Creek Butterfly Festival, slated this year for July 30, provides a family-friendly afternoon of exploring for the many butterflies found at the preserve. Participants may join butterfly tours or search out winged beauties on their own. Galena River Trail, Galena, Ill.
Description/Habitat: This scenic 6-mile biking and hiking nature trail is home to more than 100 plant species and abundant wildlife. It features towering bluffs and views of the Galena River. The trail has two sections. One goes southwest along the river, stopping just short of the Mississippi River backwaters, and is good for finding woodland, pasture, riparian and forest birds. The second, upper section goes north and east along the river to Buehler Preserve. Don’t Miss: Nearby Casper Bluff, another JDCF property, can be reached via Blackjack and Pilot Knob roads. In addition to fantastic, unique archaeological features, the location offers the opportunity to spot grassland and savanna birds. Red-headed woodpeckers and bobolinks are among the more interesting residents found here. Gibbs Lake, Rock County, Wis.
Description/Habitat: As the largest natural lake in Rock County, this is good for waterfowl in spring and fall. Adjacent to its northeast side is 299-acre Gibbs Lake County Park, enclosing three-quarters of the lake’s shoreline and the north half of the shoreline of Little Gibbs Lake. This park is comprised mostly of former farm fields that are slowly reverting to woodland. Hanover Bluff State Natural Area/Hanley Savanna Area, Hanover, Ill.
Description/Habitat: This area is a mix of land owned and managed by four dedicated conservation groups. The specific sites include Hanover Bluff Nature Preserve, Hanley Savanna, Wapello and others. Hanover Bluff, on 450 acres, is the first dedicated Illinois Nature Preserve located in the “Driftless Area,” known for its scenic topography and rare plants. Hanover Bluff is located on a high dolomite ridge that forms a valley wall of the Mississippi River. Here, six native plant communities survive: sand hill prairie, dry dolomite prairie, dolomite cliff, dry-mesic, mesic upland forest and seep springs. Don’t Miss: The trail to the old quarry at the south end of Hanover Bluff affords a fantastic view of the Mississippi River. Lima Marsh Wildlife Area, Milton, Wis.
Description/Habitat: These 2,048 acres consist primarily of wetlands. Lima Bog, one of the largest in south-central Wisconsin, is a 4-acre water bog lake surrounded by more than 100 acres of forest. It contains flora more typical of northern Wisconsin bogs. Don’t Miss: Lima Bog is a tamarack bog, and its proximity to nearby oak woods creates an unusual combination of habitats that attracts birds that may be rare in other parts of the state. Lib Conservation Area, Belvidere, Ill.
Description/Habitat: This 200-acre area, on the banks of the Kishwaukee River, supports flora and fauna typical of a northern Illinois flood plain forest. Silver maple, sycamore and willow trees dominate lowlands adjacent to the river. Hardwoods, including red and white oak and hickory trees, dominate the ridges. The area supports a healthy population of cavity-nesting songbirds. Lowden-Miller State, Forest, Oregon, Ill.
Description/Habitat: This 2,225-acre scenic park features 120-foot bluffs along 3.5 miles of riverfront forested with hardwood and pine. An unusual and surprising breeding bird community lives here, representing a blend of northern and southern species found nowhere else in the Midwest. At least 100 species have been recorded here. Oakdale Nature Preserve, Freeport, Ill.
DESCRIPTION/HABITAT: More than 4 miles of trails wind through 133 acres of forests, streams and restored prairies, including a one-third-mile, hard-packed accessible trail. The preserve also includes two small streams and some open prairie that make for a wonderful birding experience. Gelwick Nature Center’s displays include the natural history of plants and animals in the Midwest, a few live animals and outdoor bird feeders. Don’t Miss: The Jane Addams Trail near Freeport gives all people easy access to a great variety of birds, animals and plants found in Stephenson County. In springtime, see sandhill cranes and migrating flocks of robins. During winter, expect to see warblers, brown creepers, wild turkeys, downy woodpeckers, goldfinches, mallards, belted kingfishers and several other species. Nygren Wetland Preserve, Rockton, Ill.
Description/Habitat: The NLI has restored this former farmland to its native state – about 100 acres of prairie, 150 acres of woodland and 450 acres of wetlands, where Raccoon Creek once again meanders in its original channel. Among the many bird and animal species that have returned are river otters, Blanding’s turtles, sandhill cranes, and most recently, rare whooping cranes. Don’t Miss: When the prairie is in full bloom in July, stroll a wide-open waving sea of grasses and flowers, spread like a tapestry across the landscape, while butterflies dance in the air. Rock Cut State Park, Loves Park, Ill.
Description/Habitat: The two lakes in this 3,092-acre park make a unique destination for those who enjoy water recreation and wildlife. 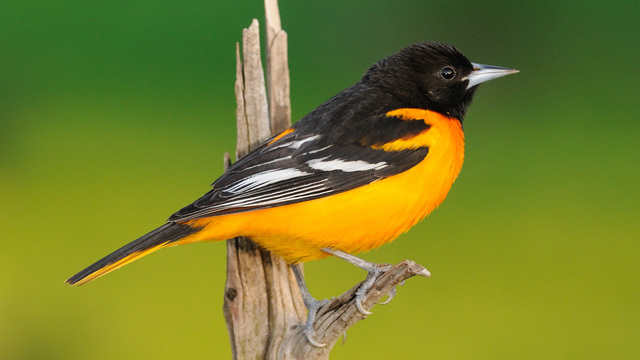 A variety of habitats, including hardwood forest, make Rock Cut a rewarding destination for bird watchers. Restored prairies showcase beautiful prairie grasses and flowers, and provide habitat for rare grassland birds. Don’t Miss: The 110 varieties of wildflowers delight visitors throughout the spring and summer. Severson Dells Forest Preserve, Rockford, Ill.
Description/Habitat: With 369 acres of woodland, stream and dolomite cliffs, this preserve is home to the Severson Dells Nature Center, which sponsors many educational programs and events for students and families. A two-thirds-mile accessible loop trail allows an easy jaunt for all. Don’t Miss: Amenities here include a nature center with gift shop, paved two-thirds-mile accessible loop trail, and a pond and observation deck. This entry was posted on Thursday, May 24th, 2012 at 12:00 pm	and is filed under Features, Top Posts. You can follow any responses to this entry through the RSS 2.0 feed. Both comments and pings are currently closed.